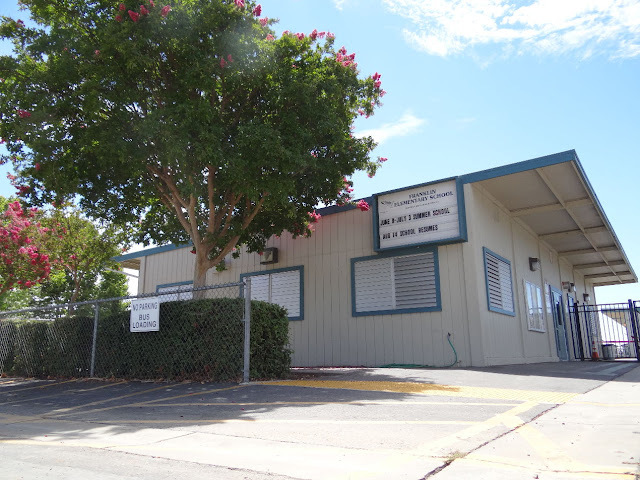 At the Tuesday, May 1 meeting of the Elk Grove Unified School District, trustees were criticized for the deteriorating conditions at one of the district's oldest elementary schools. The comments were made during the public comment section of the meeting and were focused on Franklin Elementary School in Franklin. The comments, from Franklin Elementary School teacher Cheryl Adams, painted a bleak picture of conditions at the 63-year old elementary school. Among conditions staff and students are subjected to included shoddy air conditioning, mice in classrooms, stench, water damage, and threats of electrocution of students. One commenter on Google who claimed to have attended the school said "The school has drastically low sanitation. As the children eat in the cafeteria you can see the flies all over them. I am speak[ing] from a personal experience. I went there K-6, I still have nightmares about going back there." The same commenter and others noted bullying problems at the school as well. Adams also noted as part of the District's push to win approval of a facilities bond measure, parents and staff were promised a new facility. "In the spring of 2016, the superintendents of elementary ed and facilities came to our community, proposing that with our help in passing the Measure M bonds, we would have a new school by the spring of 2018," Adams said. "Now our district appears to be wavering on whether to build us a new school." Adam's noted trustee Bobbie Singh-Allen has been working with staff and parents of Franklin Elementary School to address their concerns. The complete comments from Adams can be viewed below.